In the tradition of our ancestors, we prepare sun-ripened New Mexican red chile pods, de-stem, de-seed and puree them so you don’t have to. No hassle. No mess. Just season and simmer for a traditional sauce you can call your own. 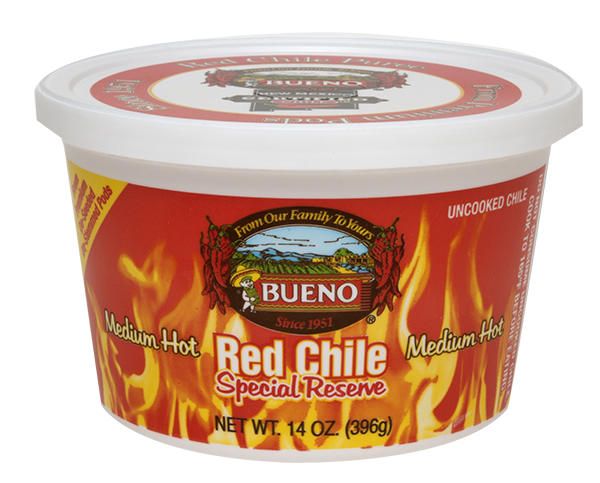 Special Reserve Red Chile Puree - 14 oz. Over six decades ago, our family – inspired by the culinary gifts of our native land – drew upon the traditions of our ancestors to introduce one of our first offerings, Red Chile Puree. Using only the meat of the chile pod, sun-ripened pods were oven toasted to perfection, minus seed and stem, then delicately pureed. 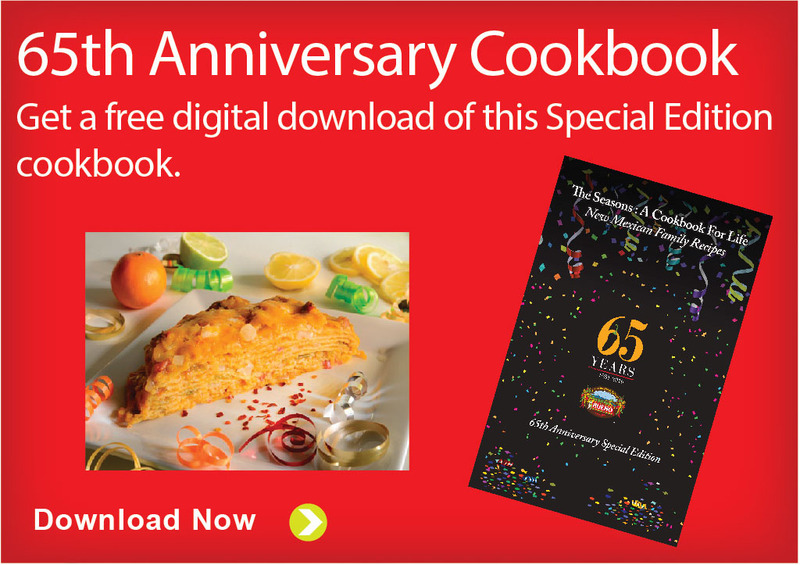 The result was a most exquisite sweet heat that has been a hallmark of our company and a foundation for New Mexican cuisine for generations. And though we’ve changed the name over the years (formerly Chimayó), it was one of our original products and continues to be one of our best. 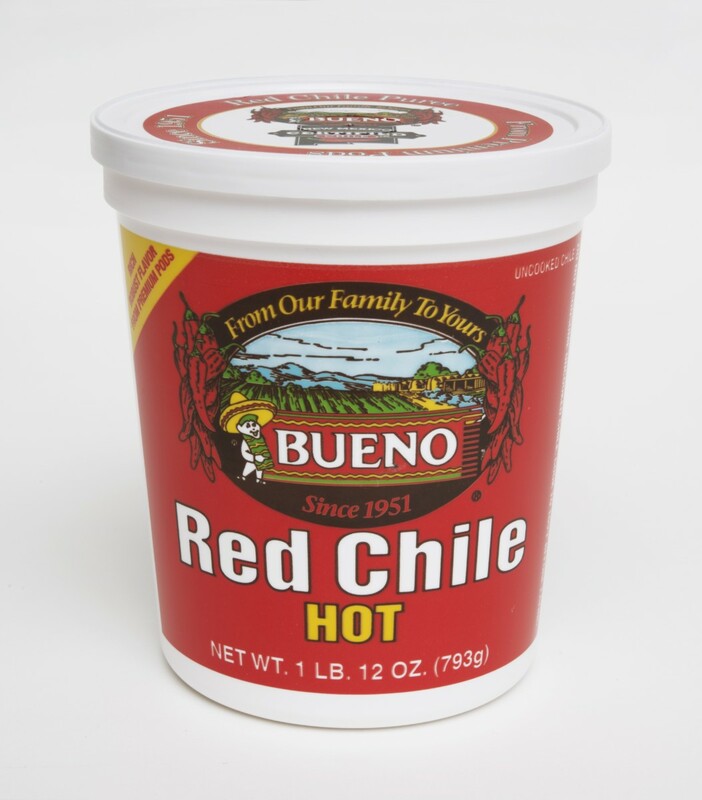 Red Chile Purees - 14 oz. The taste of the Southwest begins with Red Chile Puree. Your favorite red chile sauce is as easy as adding water, making a roux, and adding spices. It’s “bueno” pure and simple — no additives, preservatives, MSG, or salt. Hot or Mild. 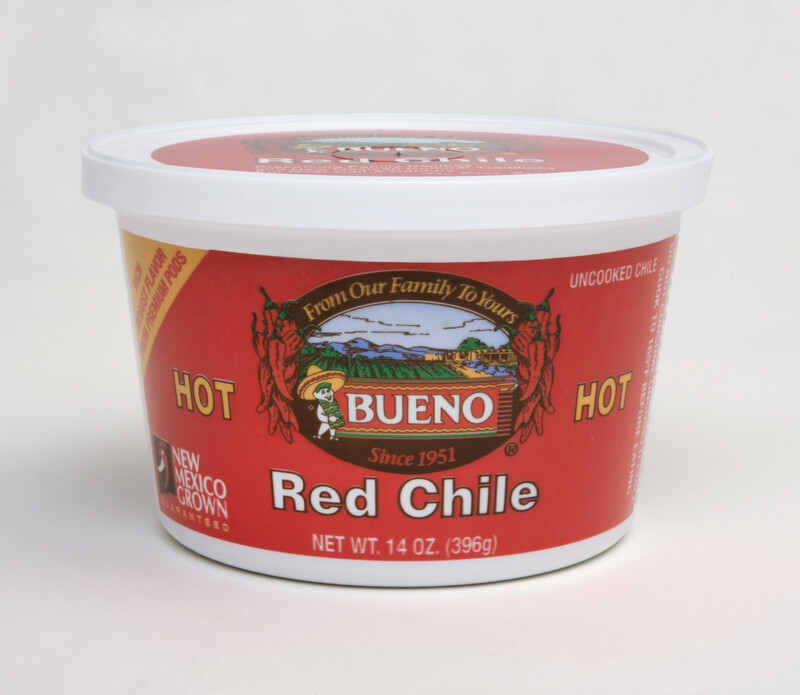 Red Chile Purees - 28 oz.